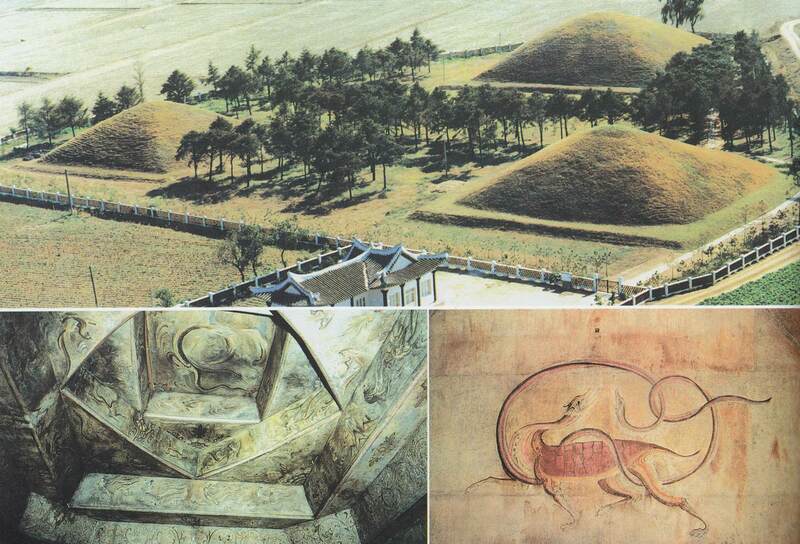 This region includes Nampo city, industrial zones of Kangso and Taean, Wau Islet, Thaesong Reservoir, West Sea Barrage, Pyongyang Golf Course and cultural attractions such as mural paintings of Koguryo dynasty. 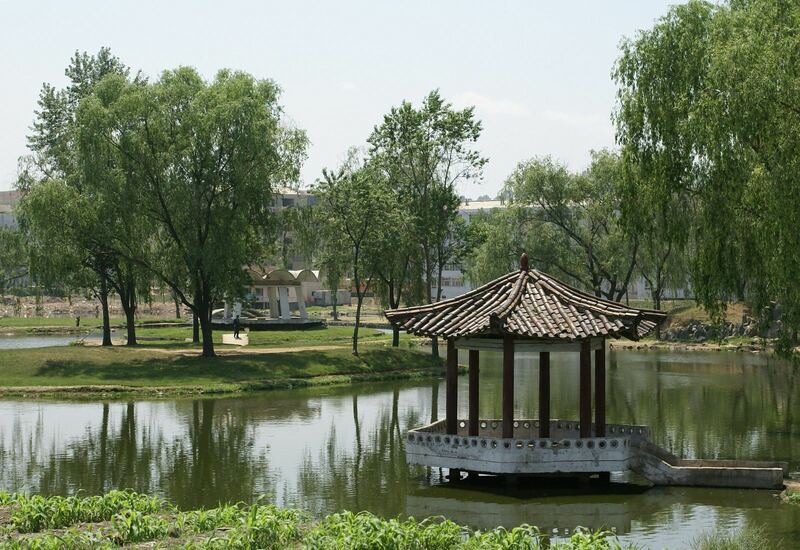 Nampo is a cultural and trade port city on the west coast of Korea and a west gateway to Pyongyang. 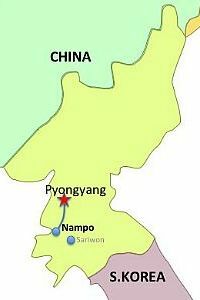 Namp'o is situated approximately 50 kilometres south west of P'yŏngyang, at the mouth of the Taedong River. It was originally a small fishing village, but became a port for foreign trade in 1897, developing into a modern port in 1945 after World War II. 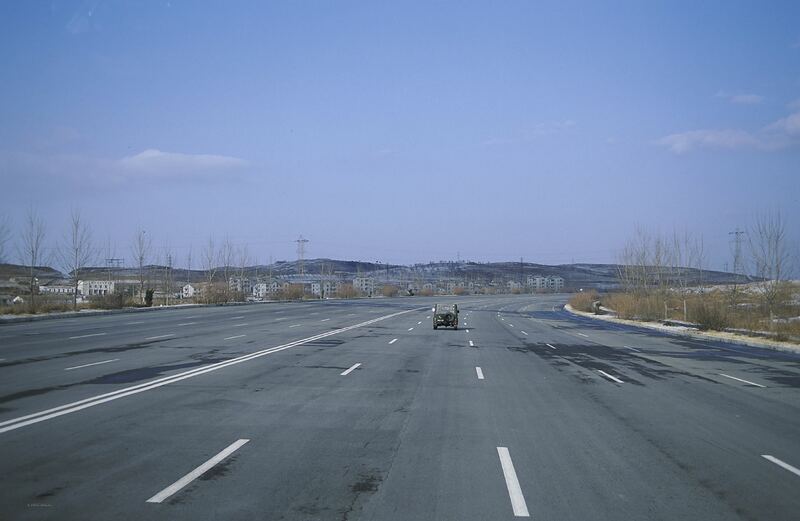 Nampo is situated approximately 50 kilometres south west of P'yŏngyang, it is around a 45 minute drive away from the capital of North Korea on the virtually empty Youth Hero Motorway - a 46 kilometer long expressway between Pyongyang and Nampo. 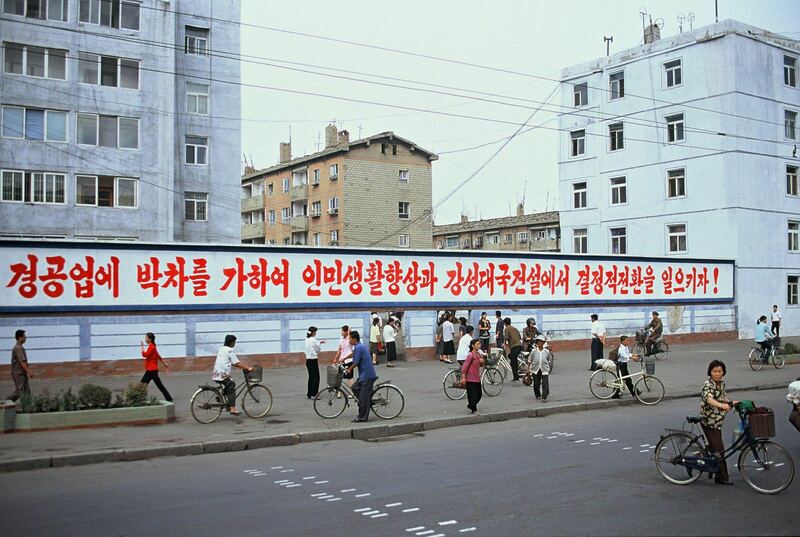 Construction of the expressway started in November 1998 with the massive support of young Korean volunteer workers. 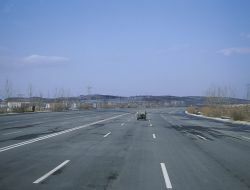 The widest motorway in North Korea (5 lanes in each direction!) 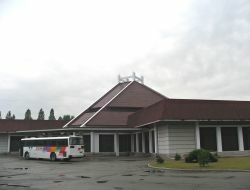 was opened in October 2000. 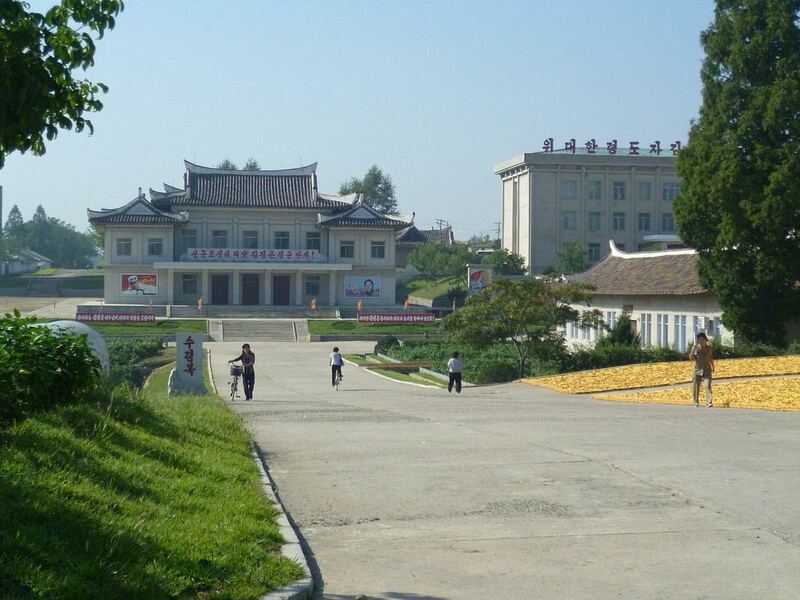 The Chongsan-ri Cooperative Farm halfway between Nampo and Pyongyang and it is an usual stop on the way to Nampo. 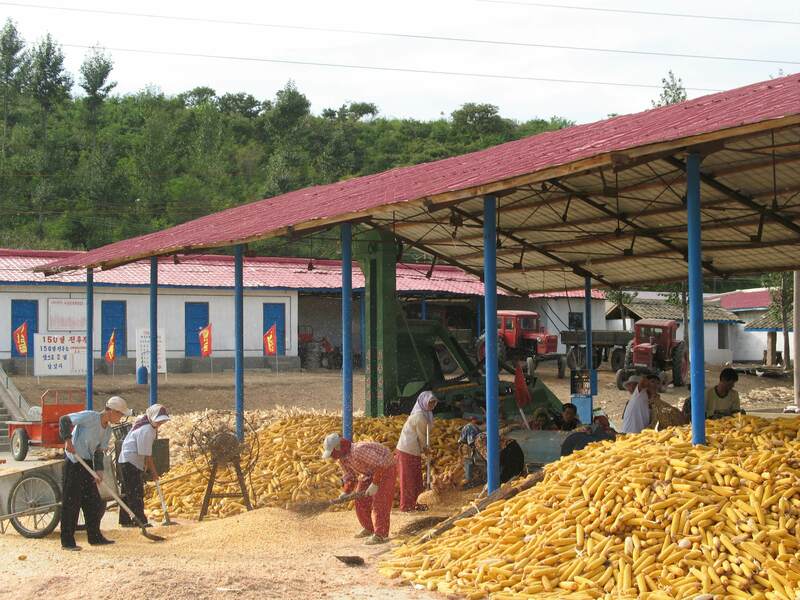 Here you may have a chance to meet a local farmer family and talk with local people about Korean agriculture. 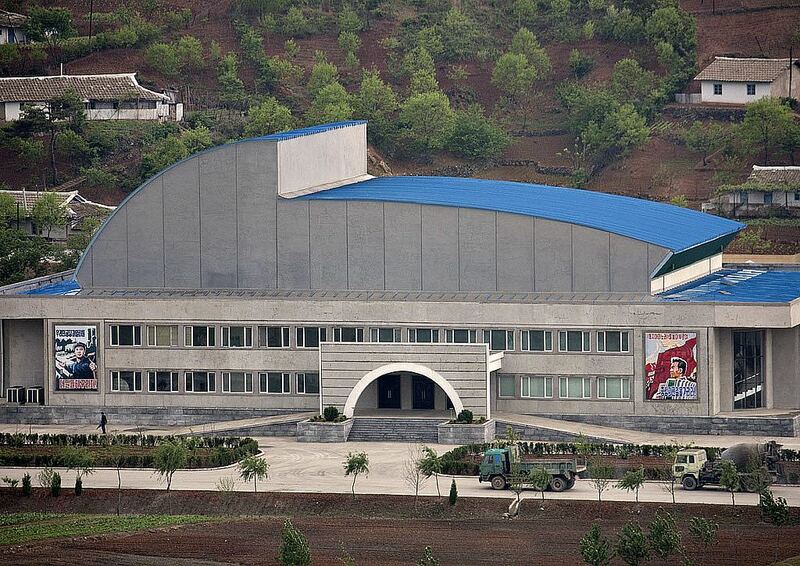 An iconic symbol this cooperative farm basically consists of large farms with several facilities where farmers and their families live: rural flats, a college, a middle school, a primary school, a kindergarten, a cultural hall, a hospital and other facilities. 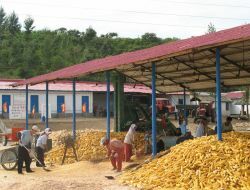 The Chongsan Farm produces crops, vegetables and fruits, rice, corn and bean. 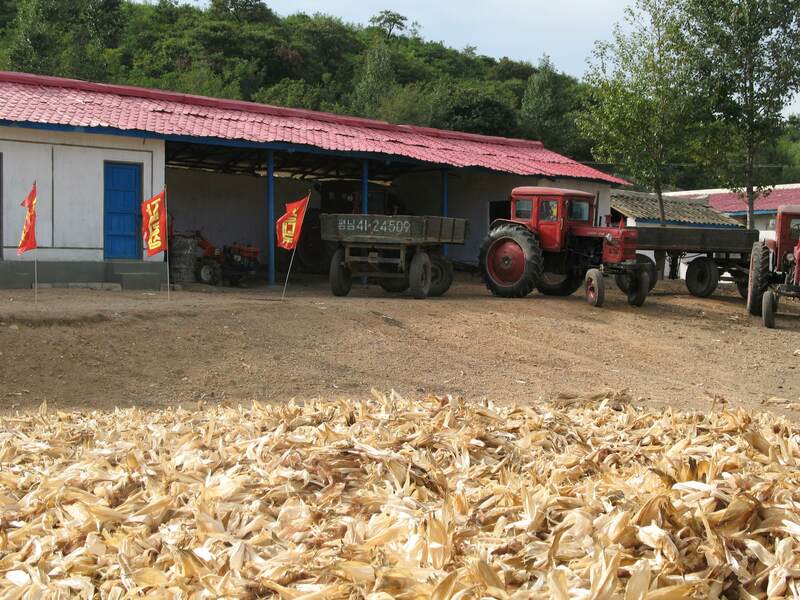 This farm was visited by the leaders Kim Il Sung and Kim Jong Il on several occasions and was declared a model cooperative farm by the state. 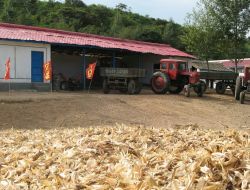 The farm is associated with the revolutionary achievements of President Kim Il Sung who created Chongsan-ri Spirit and Chongsan-ri Method, the embodiment of the Juche Idea. 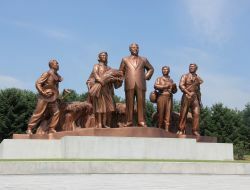 There are statue of the President and revolutionary monument at the farm. 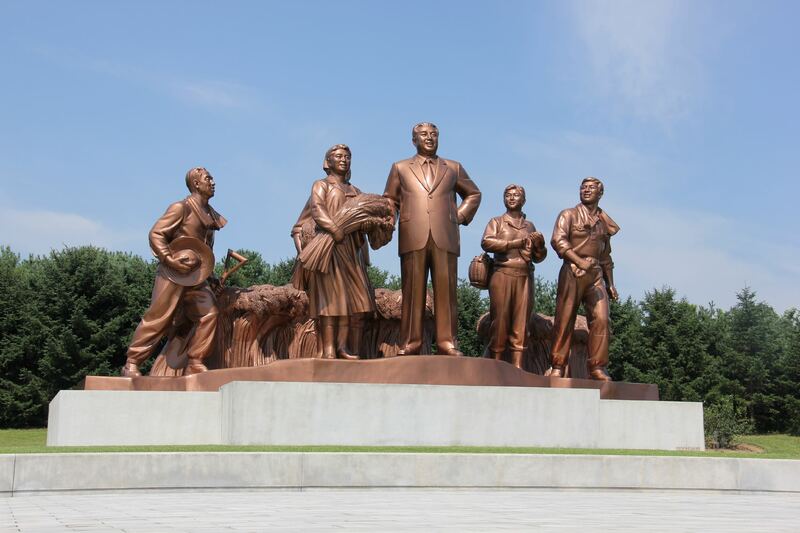 The monument commemorates Kim il Sung's 15-day visit to Chongsan-ri in 1960 where he provided on-the-spot guidance to the cooperative farms. 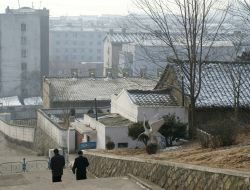 Nampo is a cultural and trade port city on the west coast of Korea and a west gateway to Pyongyang. 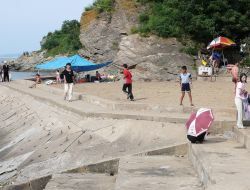 Namp'o is situated at the mouth of the Taedong River. 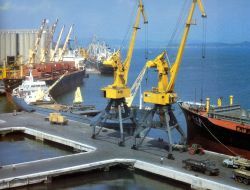 It was originally a small fishing village, but became a port for foreign trade in 1897, developing into a modern port in 1945 after World War II. 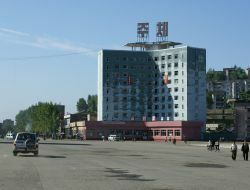 Nampo is the center of the North Korean shipbuilding industry and has a population of about 370,000, making it the fourth biggest city in the DPRK; other important employers are the Nampo Fishery Complex, the Nampo Smelter Complex and the Nampo Glass Corporation as well as several sea salt producing companies. 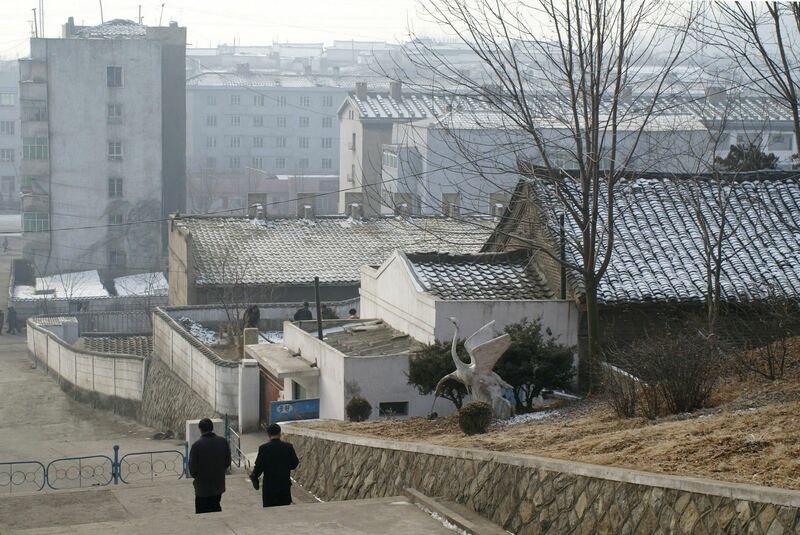 The port in Nampo can accommodate ships of 20,000 tons but is frozen during the winter. 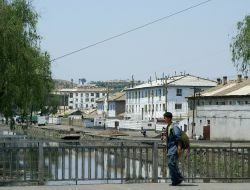 Namp’o is the chief seaport in the area and is connected to the interior by rail and by river transport on the Taedong. 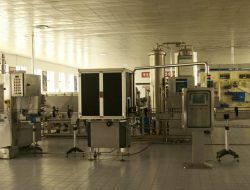 The city is a market centre for marine products, including shellfish, and its industries include steel and chemical manufacturing. 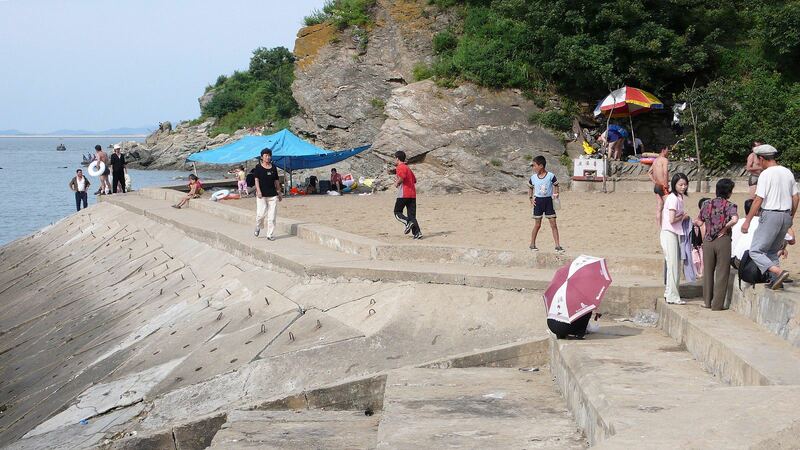 Waudo Pleasure Ground: One of the sights of regions of the West Sea located 10 kilometres away from the city, this scenic spot provides a rare combination of cliffs and pine tree inhabited hills all blending into the beach. 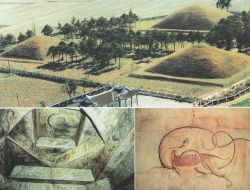 It gets its name from the shape of a lying ox. 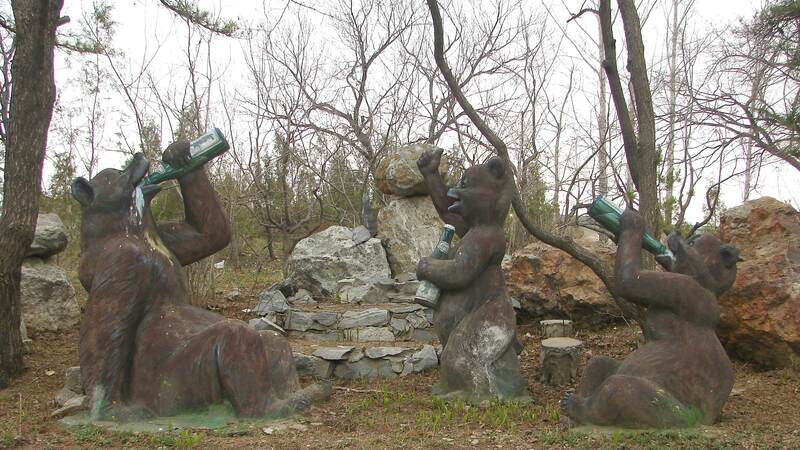 Famous Wau Peak is covered with pine trees, low hills, bizarre cliffs and pine groves at beaches. Here there are rest home, bathing resort, stadium, angling sites, pergolas and other facilities. 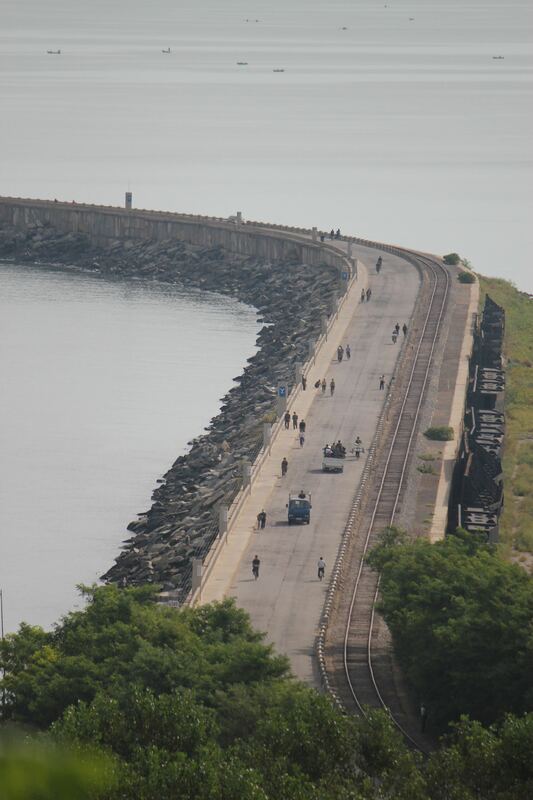 Built in the course of 5 years, this 8 km barrage is a source of pride in the DPRK. 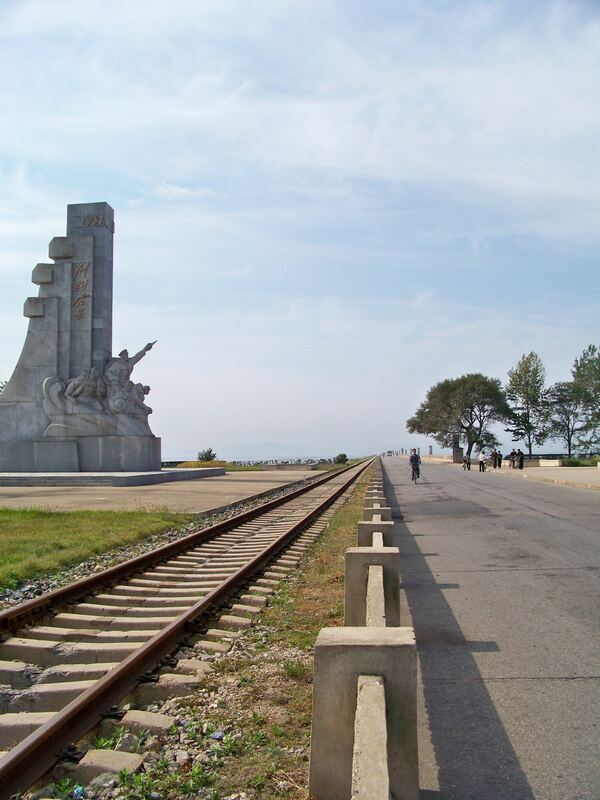 The West Sea Barrage was completed by the Korean People's Army in 2006 (Juche 75). 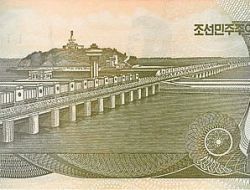 The West Sea Barrage separates the Taedong River (which leads to Pyongyang) and the West Sea, thus protecting the inland from floods. 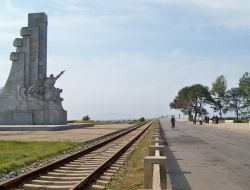 The West Sea Barrage is located 15 km away from Nampho city. 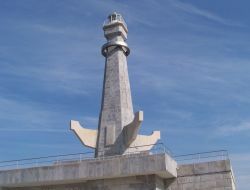 The observation platform, which is shaped like an anchor on the Pi Islet, allows a people enjoy a panoramic view of the barrage on which a motorway and railway run. 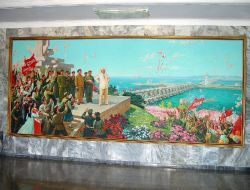 The barrage links both shores of the Taedong River. 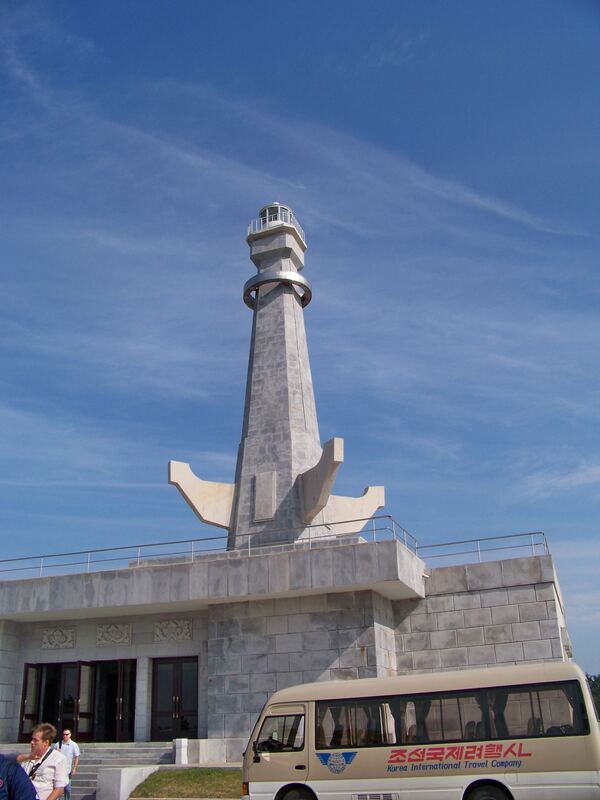 On the way to the Dam's observation spot you will ride on the motorway along the railway with the Taedong River on one side and the West Sea on the other. 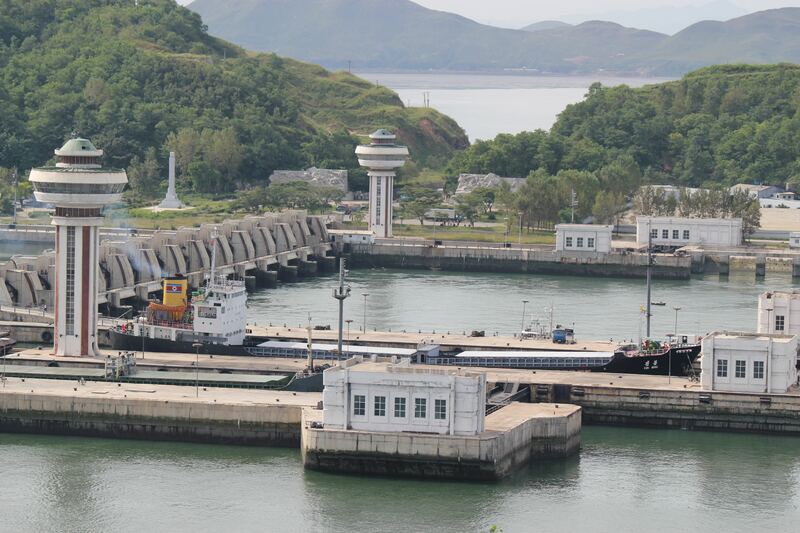 The West Sea Barrage has not only helped the economy of the area but has also turned the Taedong River in a man-made lake, separating it from the West Sea and therefore guaranteeing fresh water for agriculture, people's daily lives, etc. 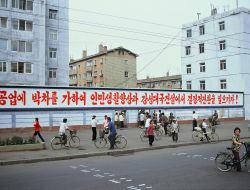 It avoids the risk of floods and allows ships to sail inland. 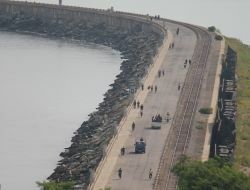 The main dam also has three fish ladders to permit the movement of fish between the fresh and salt water. There is also a hydrologic and oceanographic research center. A 82 mi./132 km. 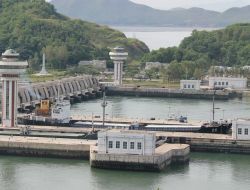 long West Sea Barrage-Sinchon-Kangryong-Ongjin waterway has also been completed to provide much needed irrigation water to tens of thousands of acres of farmland and reclaimed tideland. 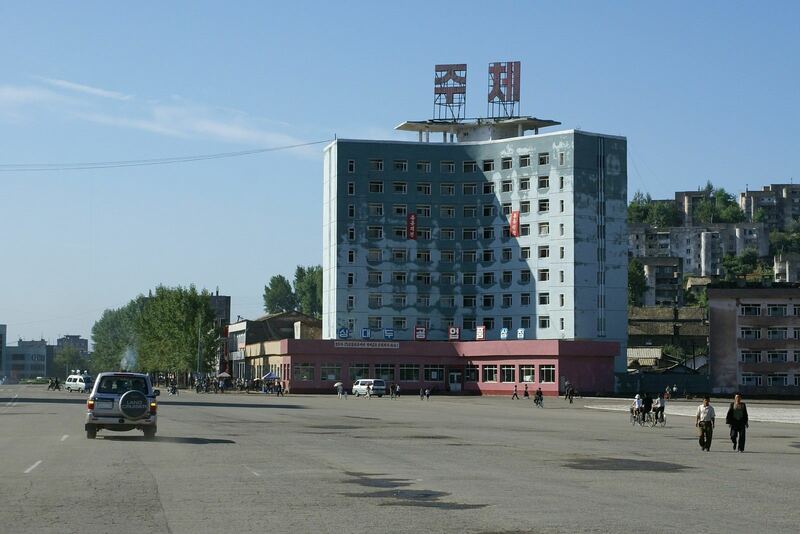 The Ryonggang Hot Spring Hotel (in most itineraries referred to as the “Dragon River Hot Spa Hotel”) is not in Nampo city, but 20 kilometers northwest in a small town called Onchon and it dates back to when the country was under Japanese occupation. 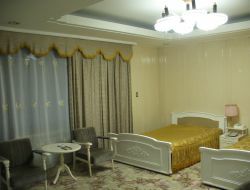 The Hotel actually is a resort, consisting of seven villas which have neatly decorated 4 appatments each equipped with its own private hot spring tub. 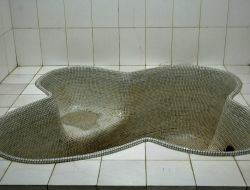 The salty water comes directly from the waterbed beneath the ground and has countless health benefits. 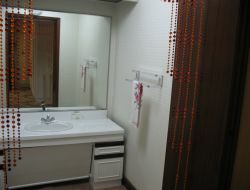 It is the richest in mineral matters among the spas of Korea. 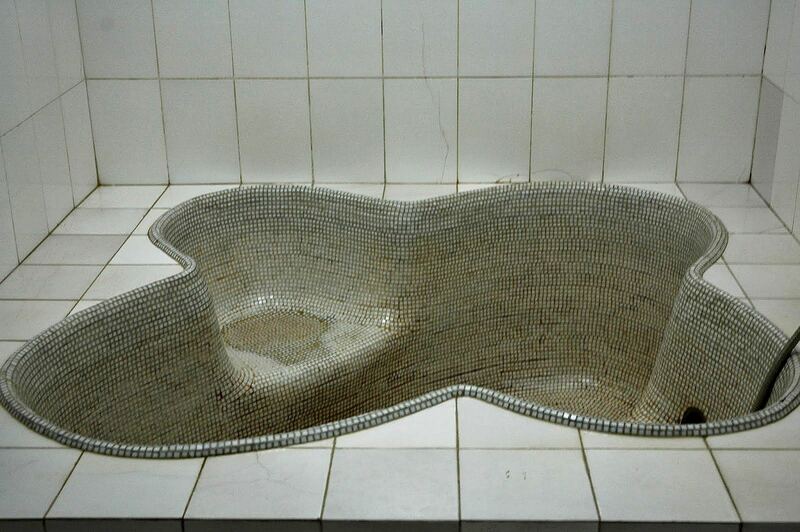 The resort offers facilities for radon gas bath, whole and partial body bath, douche and internal treatment. It treats hypertension, arthritis, neuralgia, lumbago, sequelae of operations, chronic gastritis, chronic colitis, skin deseases etc. 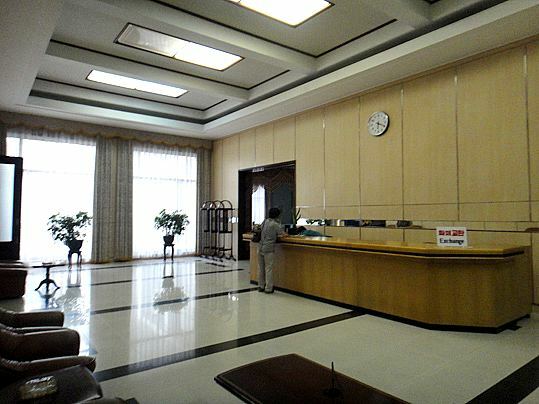 There is also so-called service center with a restaurant, a karaoke room, a pool room, and other facilities. 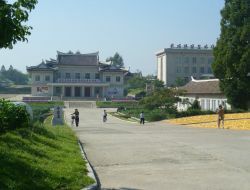 The resort is surrounded by a fence and the main entrance (facing open fields, not the town’s center) is guarded by an armed soldier. 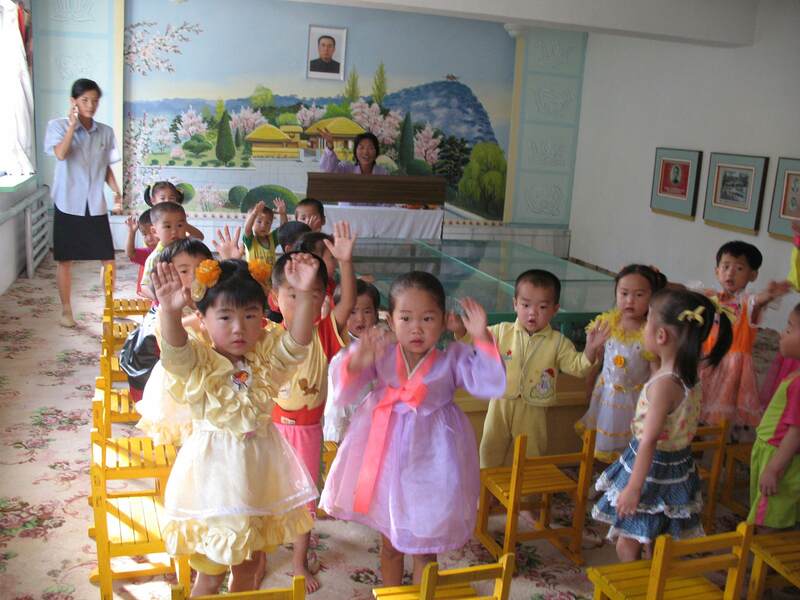 The orphanage is built to take care of children who have no parents or whose parents are unable to take care of them. Please note that this facility may not always be open to travellers. 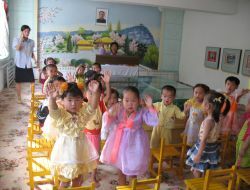 The kids who stay at the orphanage are always excited to see visitors and those coming are encouraged to bring little presents or sweets to give out to them at the end of the visit. 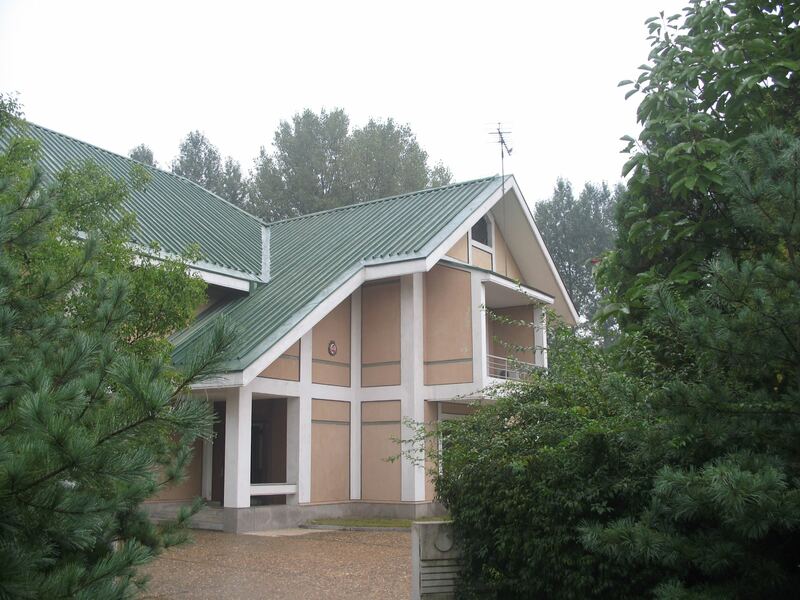 Located close to the Hot Spa Hotel, this is a professional 18 hole golf course spreading over 7 km and covering almost 50 hectares. It fulfills the demands of more than 100 golfers at a time. The golf club offers a wide selection of facilities including restraunts, a shop, lounges, a recreation room, baths and saunas. 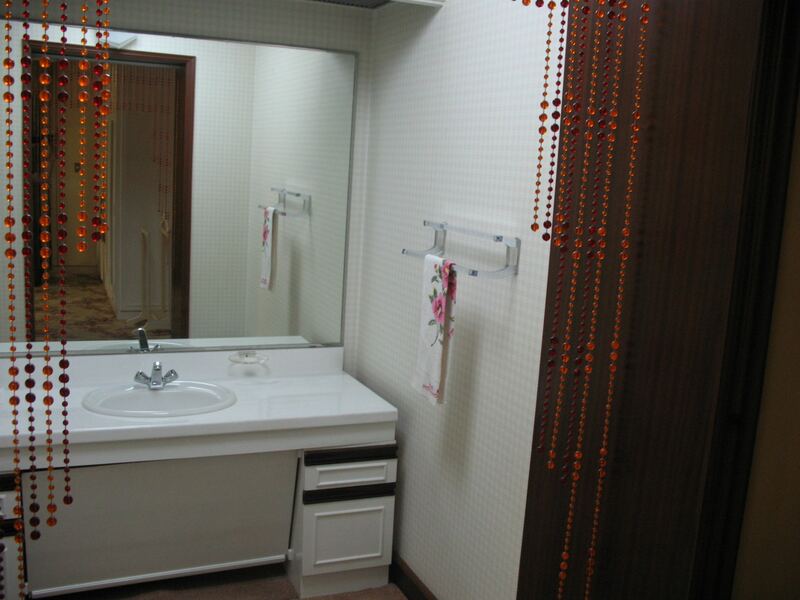 Golfers can also stay at the famous Ryonggang Hot Spring House near the course. Visit this factory to see, as the name suggests, how mineral water is bottled from its beginnings to its packaging. The water is naturally carbonated by Co2 gas trapped hundreds of metres below the ground. 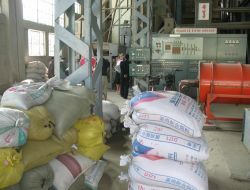 The finished product is bottled and sold within DPRK and exported to China. 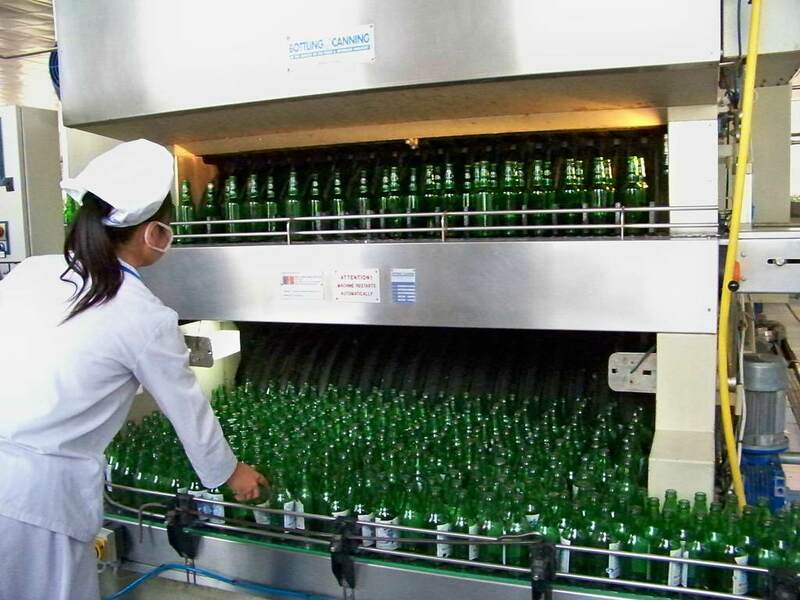 After the tour visitors can try locally produced mineral water. 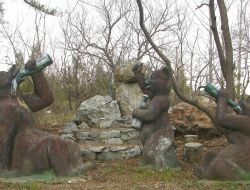 It is Korean showcase heavy industry site located outside Nampo, was recently opened for tourism. 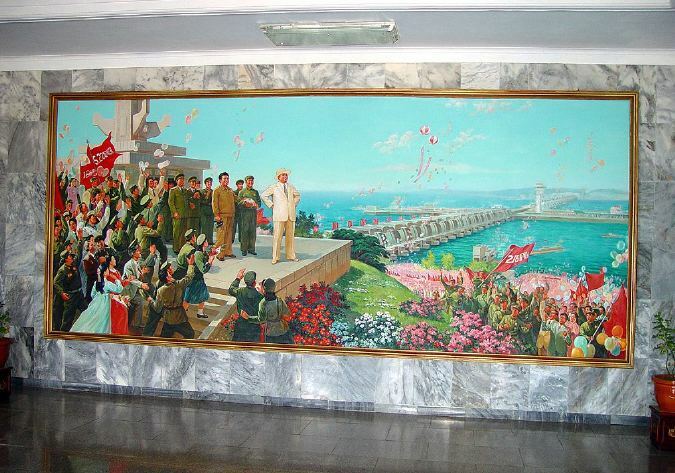 The Chollima Steelworks is an impressive complex with wide boulevards, rail infrastructure, grand propaganda murals, and imposing buildings. There is also a local museum dedicated to the visits and on the spot guidance of Kim Il sung and Kim Jong-il. 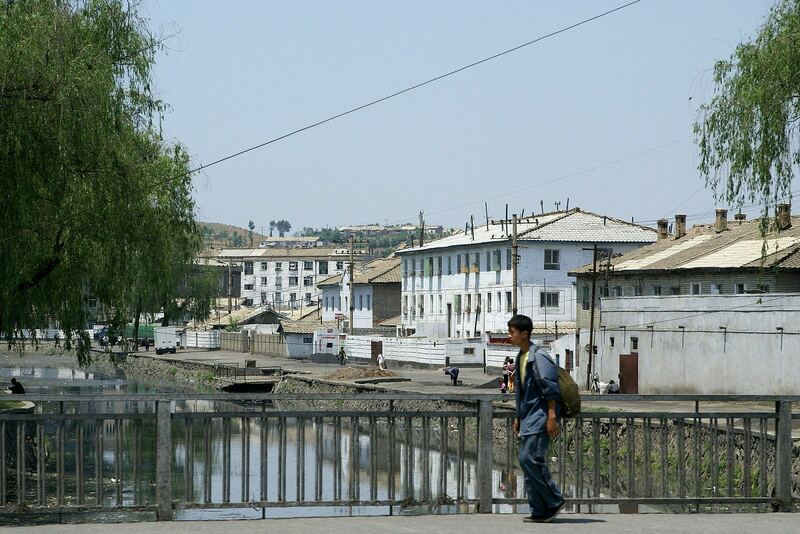 The Chollima Steel Mill Complex is the cradle of the “Chollima Campaign,” which was a campaign to increase industrial productivity through workers’ power in the 1950s and 1960s; it produced a quantity of steel materials in the 1960s which far surpassed its production tally during the 1950s. 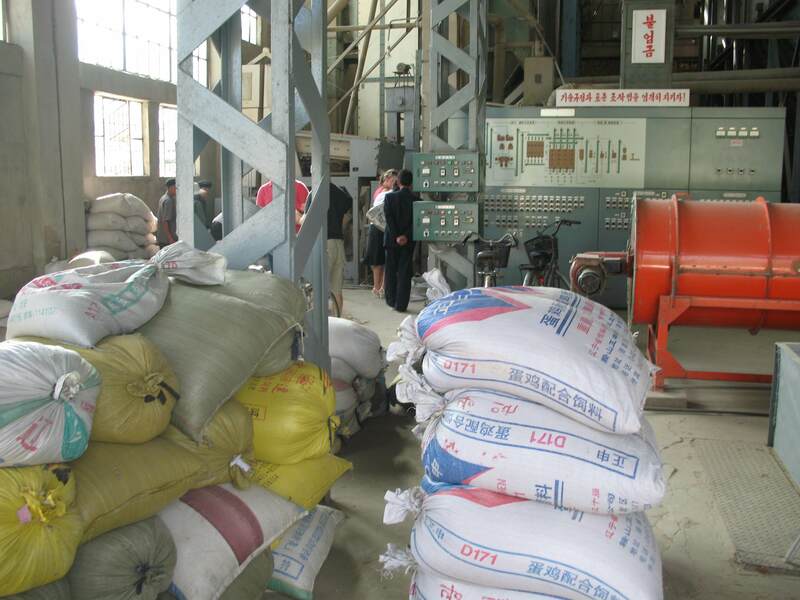 The highlight of the visit into the steelworks is a close up inspection of a functioning electric arc furnace on the production floor. 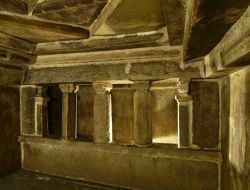 Viewing the inside of the complex is only recently became possible for tourists. 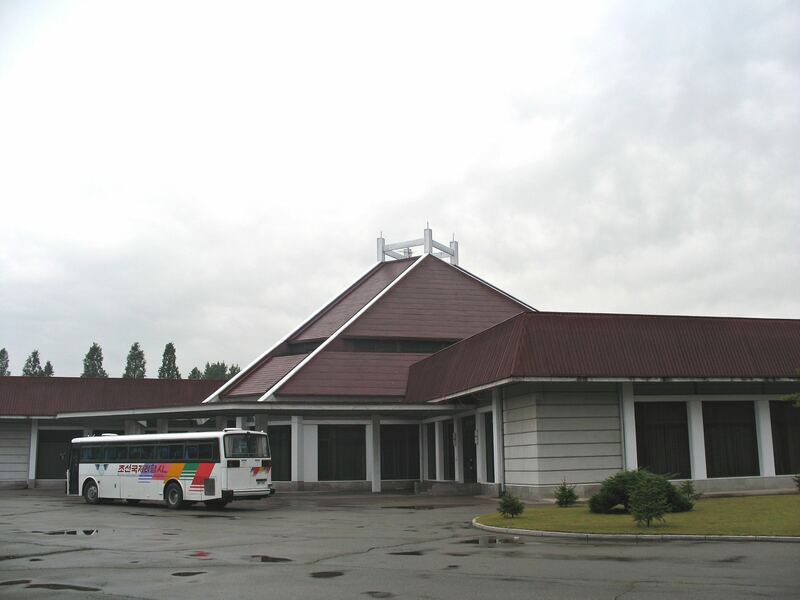 The Ryonggang Hot Spring Resort, Situated in Sindok, close to Nampo. 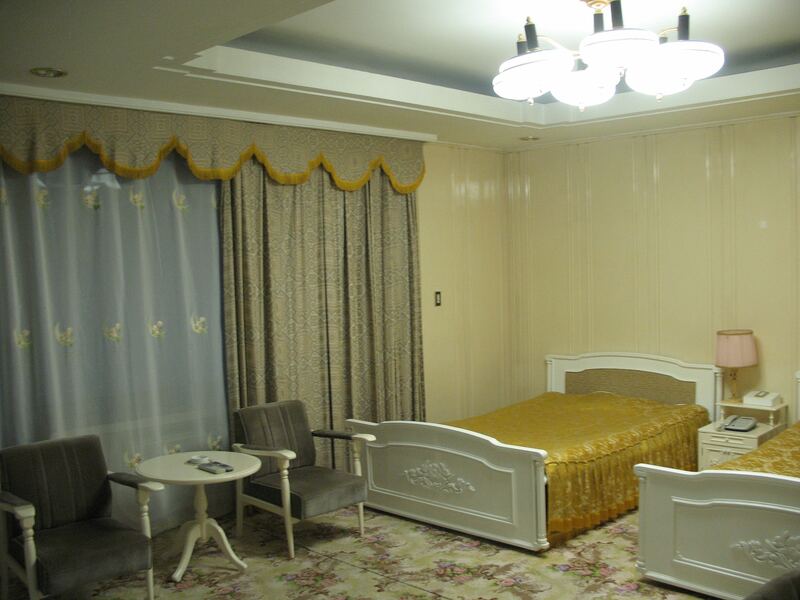 Accommodation takes the form of quaint cottage-like houses, and the main attraction of the hotel is the private baths situated in each apartment. 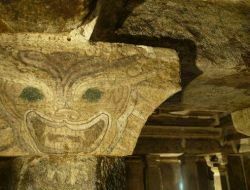 The water that runs to the baths has its source in local springs and is said to be rich in bromine and radon.